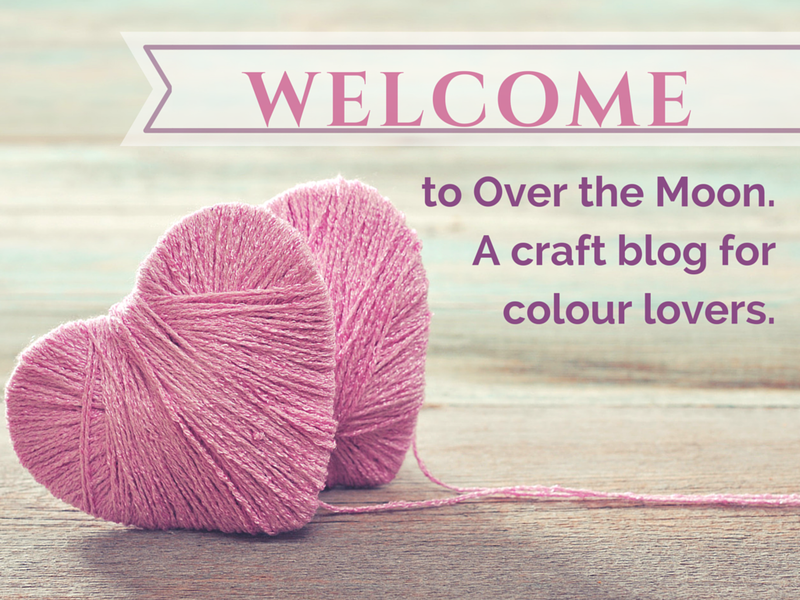 Welcome to Over the Moon! Hi I’m Karen, the writer here at Over the Moon. I’m a mother of two daughters, wife of my high school sweetie, and what I like to call a Craft Adventurer with a bad case of Craft ADHD! I live in the beautiful green hills and valleys of the Adelaide Hills in South Australia. You can read more about me here. I started Over the Moon in 2011 as a journal to help to refocus my creativity. The site has evolved as I participated in challenges such as Bead Soup Blog Hop and Write 31 Days Blogging Challenge. I hope this site can help you explore your creativity and inspire your own projects or as I like to call them, Craft Adventures. Across the top of the site are links to my most popular categories. 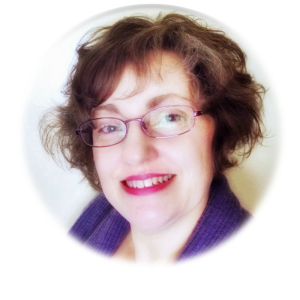 Craft Adventures contains posts and articles about handmade jewellery, dyeing yarn, crochet, polymer clay and many other crafts. It also includes the many craft challenges I’ve participated in like the Bead Soup Blog Party. The Colour category contains the series Crafted Colour and my own colour palettes. Organise is a new section for the Craft Storage Ideas series and in the future will also include hints and tips to help keep YOU organised as well. For those who are interested in Blogging this category contains a few hints and tips. Life is where I share some of my day to day goings on. Find a few tips in my Photography section, as well as an occasional Instagram photo. I don’t post Recipes often but you’ll find them here. 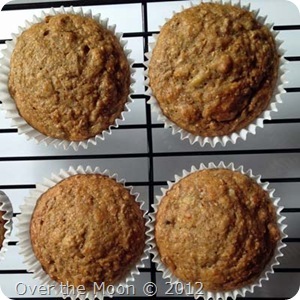 My Banana Breakfast Muffins are filling and taste great! Tutorials will soon be new category that I hope to fill up with Yarn Dyeing and crochet patterns and a few jewellery tutorials. Sales and Giveaways is where I’ll let you know about any sales my affiliates (Craftsy, Deramores, Fire Mountain Gems) are having. It’s also where you’ll find any freebies or giveaways! Other places you can find me is on Facebook and Twitter but I spend most of my time on Pinterest and Instagram. If you enjoy looking “behind the scenes” Instagram is the best place to follow me. I’m more than happy to reply to all messages and comments in all places. If you’d like to keep up with Over the Moon I recommend following me either via Bloglovin’ or in another feed reader. Alternatively you can become a subscriber to the Weekly MoonLetter, my newsletter where I share blog posts, behind the scenes and exclusive subscriber freebies.